Home › Blog › Feeling crafty? Make yourself a lovely lab bag! Feeling crafty? 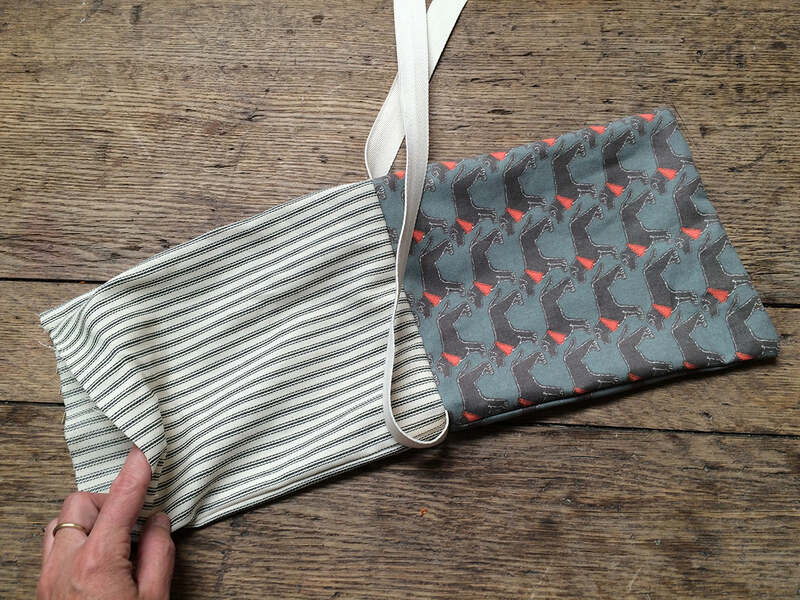 Make yourself a lovely lab bag! Have you seen the marvellous muddy paws lovely labrador printed fabric is now available to buy via our website, perfect for your next crafty project. We're always being asked for more sewing projects and so we decided to celebrate the launch of the labrador fabric by bringing you a new step by step guide to making your own cross body bag. And guess what? This first bag is a lovely labrador! So grab yourself the following and get ready to sew. 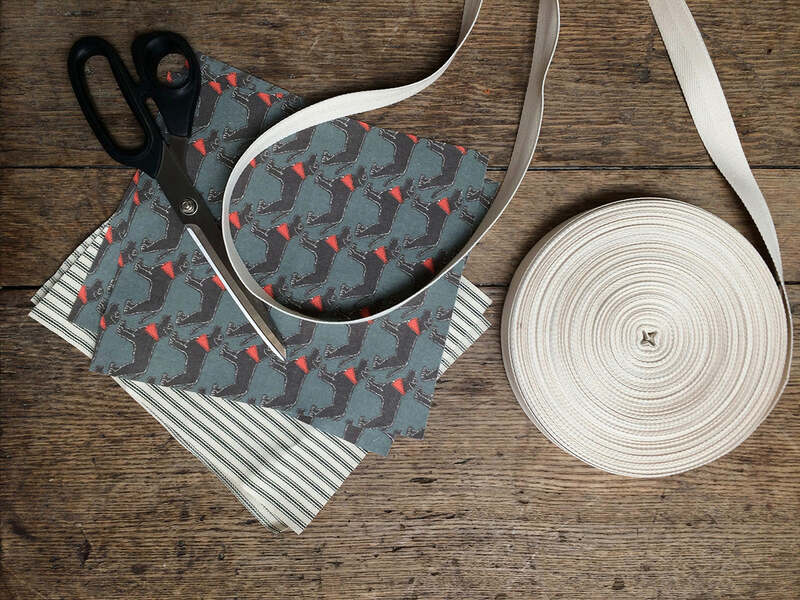 You will need: 1/4 metre of pretty outer fabric (like the gorgeous new muddy paws heavy cotton) 1/4 metre of lining fabric, 1.5m of heavy duty webbing, Scissors, Sewing machine, Pins. Step 1: Cut two pieces of your outer fabric 25cm high by 22cm wide. 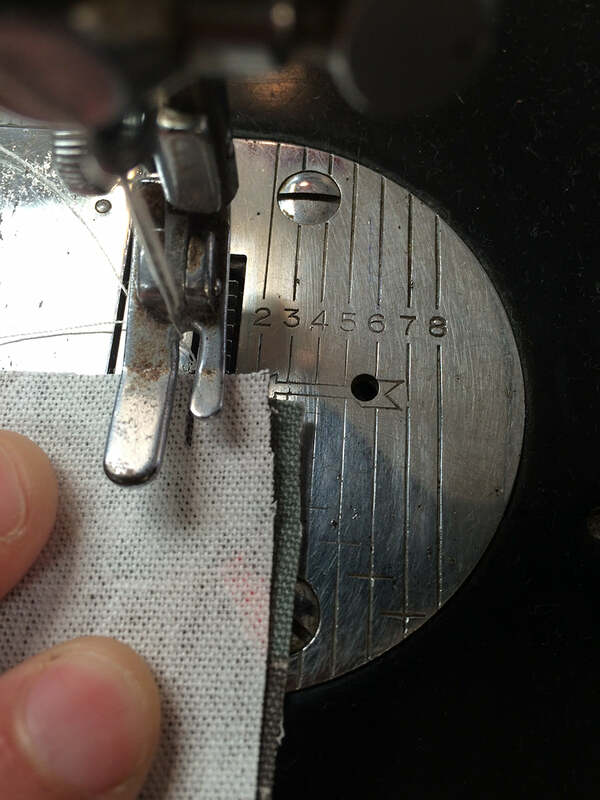 Cut two pieces of your lining fabric the same size. Cut a 1.5m piece of heavy-duty 25mm wide webbing. You can adjust this to suit your height. 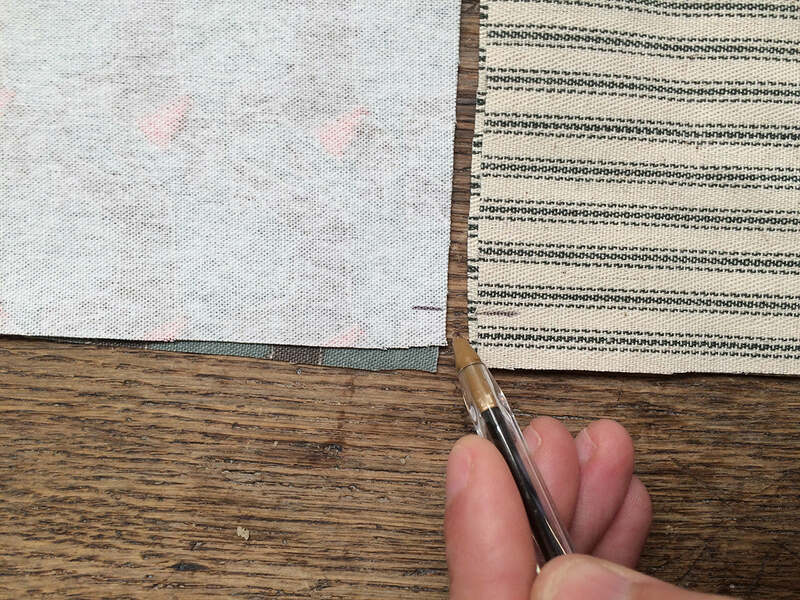 Step 2: Place your pieces right sides together, lining with lining, outer with outer and line the top edges of the pieces up on a table. 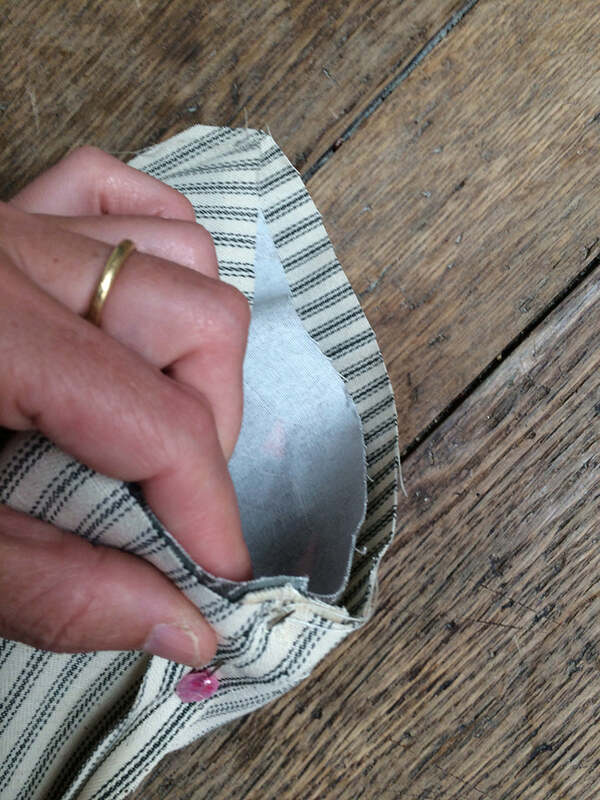 Mark out where your seams will start and finish leaving a 1cm seam allowance Step 3: Using your marks as the start and finish point, sew all the way round your outer pieces, right sides together and then turn through. Step 4: Again using your marks, sew down each side of your lining pieces, right sides together but DON’T sew along the bottom. Step 5: Place your turned through outer piece inside your ‘tube’ of lining, right sides together and line up the side seams. 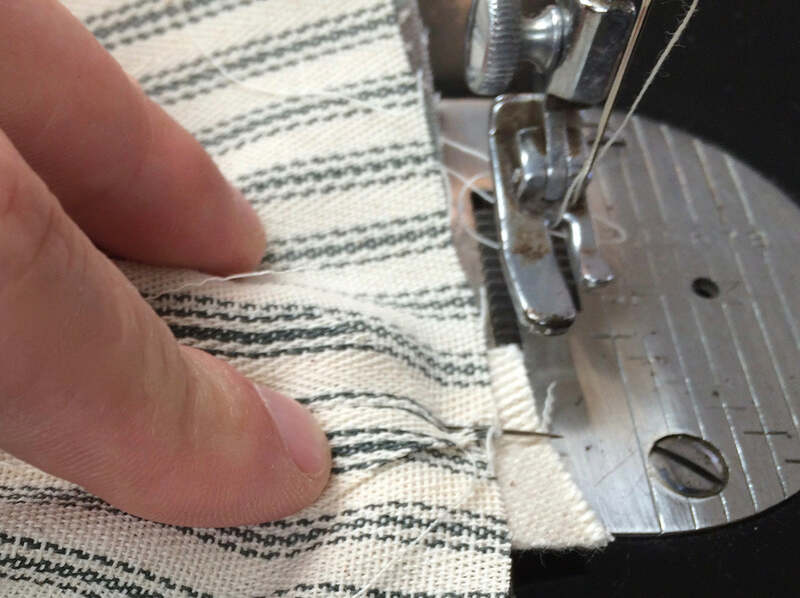 Open out the seams and insert the ends of your webbing handle, making sure it’s not twisted. Pin in place. Step 6: Sew around the top of your bag, securing the handle in place. Turn through. Step 7. Fold the lining end of the bag in about 1cm and stitch across to sew this shut and then push lining through inside the bag. Step 8: Top stitch your bag in a matching thread….and you’re done! Time for a cup of tea and then... to walk the dog! But now you have somewhere to pop those treats and poo bags whilst you're out, hurray! Shop Muddy Paws fabric now. Shop labrador range in full now. Whoops – well done for spotting the ahem deliberate error there! We’ve added a step 7 to cover this now! Make sure you share your finished project with us – we’d love to see how you get on! Did I miss the bit about sewing up the bottom of the lining? I couldn’t find it anywhere! Nevertheless, I’m definitely going to have a go at this, thanks.